see the social media courses bundle deals here. To ensure you are viewing the most updated schedule, press F5 to refresh your browser. What Is Web Hosting and How Much Does It Cost? A web host is a company that has computers that are hooked up to the Internet 24/7. These computers are called servers and they are assigned IP numbers in order that they may be found by other computers hooked up to the Internet. To have a website accessible to the Internet, your website files must be stored within a web hosting server. This allows users of the Internet to see your website on their web browser located within their computer. Basically what happens is when you type a web address into the address bar also referred to as the URL (Uniform Resource Identifier), your browser sends out a request to 'get' that web page. The request travels across the Internet to the appropriate web hosting server and attempts to locate the web page on that server. If the request is successful (web page exists) then that web page will load (or download) into the user's web browser. Website files can be your web pages, graphics, images, videos, audios, scripts and web program files. It basically consists of every file that is required to see your website correctly. 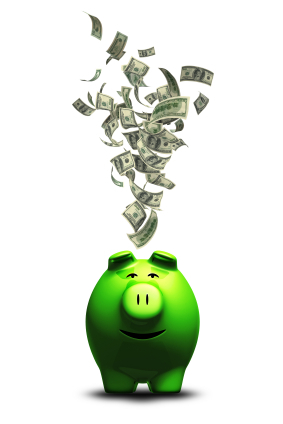 How much does web hosting cost? Web hosting can be bought for less than $10 U.S per month, depending on how long you sign up for. Typically, a web host company would provide the lesser price the longer you sign-up in advance. Hands-down we recommend HostGator as the web host company to purchase web hosting services. We use to host websites with Netfirms. But two years ago we started to host websites with Hostgator, because of two reasons. First, because of the low cost and second because HostGator web hosting is "green". 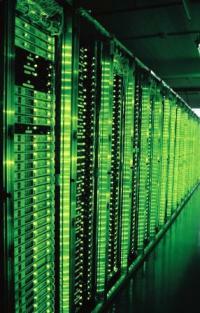 You can read more about green web hosting here. We’ve been using HostGator for over two years and have not had one problem with them. The quality of their hosting services is not short of excellent. Hostgator web hosting packages range from $5-$10/month, depending on how long you sign up for, and they basically offer you more resources than other web host companies—i.e., unlimited bandwidth, unlimited diskspace, and unlimited domain hosting under the ‘baby plan’. In addition, we give HostGator web hosting services a thumbs up for being a qualified green web hosting company. If you are environmentally conscious and want to do your part to save our planet, then consider the benefits of green web hosting. You can read more about green web hosting here. If you have any questions about hosting your website with HostGator, please do not hesitate to contact us. 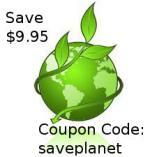 Save $9.95 on any HostGator Web Hosting package, just use coupon code saveplanet.